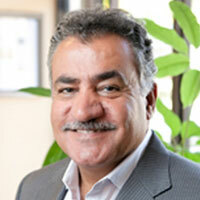 Dr. Youssef Kabbani is a physician of podiatric medicine and surgery and has been in private practice for over 26 years in the Philadelphia area. Dr. Kabbani’s practice of Podiatric Medicine and Surgery is diverse. He treats all aspects of pathology affecting the foot and ankle and works closely with vascular surgeons to reconstruct and salvage severe foot and ankle infections.